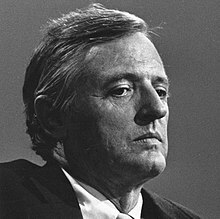 William F. Buckley, Jr. (1925-2008) was an author and political commentator. In 1955, he founded the influential conservative magazine National Review. Buckley also hosted the popular television show Firing Line and wrote a twice-weekly syndicated newspaper column. He is the author of more than 50 books, including titles on history, politics, and sailing, as well as a series of spy novels featuring CIA agent Blackford Oakes. Tags: William F. Buckley, Jr.